Foothill Dental Care is a full-service dentist providing dental implant services. Whether your missing tooth is the result of periodontitis, tooth decay or an injury, Foothill Dental Care can help restore your smile with a beautiful new dental implant that looks and functions just like a real tooth. As with all our dental services, you’ll be treated with the nurturing care and professionalism that embodies Foothill Dental Care’s practice. We’ll make sure that you’re kept comfortable and informed throughout the implant process and will always be available to address any questions or concerns. Please call us if you have questions or concerns about our Implant Dentistry service! They bond with your natural bone and become a durable base for supporting one or more artificial teeth, or crowns. 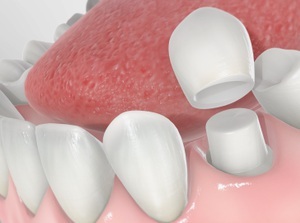 A connector (abutment) is placed on top of the dental implant to hold and support the crowns, which are made pre-made specifically for the patient. The dental implant post, which is a screw made of titanium, is placed in the jaw during where the tooth was extracted. The purpose of this is to replace the tooth root and guarantees stability. Modern dental implants have been successfully used for more 30 years and have come the strongest way to support artificial teeth and allow the new teeth to function properly and look natural. Generally, anyone who has a missing tooth can get a dental implant. But, if you are thinking about getting dental implants, it is important that you have healthy gums and enough bone to support the implant. Bones that are too thin or soft will usually be unable to support an implant and may need a bone graft. Also, if you do not have enough bone height in your upper jaw, or your sinuses are too close to the jaw, you could be required to have a sinus lift. Realistic appearance. Dental implants appear and feel like real teeth. They are intended to fuse to the bone and remain in the mouth permanently. Improved speech. Dentures are often not fitted correctly and can slip around inside a patient’s mouth, causing them to mumble or slur their words. Dental implants are a lot more comfortable and allow patients to take and eat without worrying about their teeth slipping out of their mouth. Better comfort. Over time, implants permanently become a part of your mouth, eliminating the need to deal with the discomfort of removable dentures. Eat confidently. With dentures sliding around, it can become difficult to enjoy your favorite food. Chewing your food shouldn’t be difficult. Dental implants function like your own teeth, which allows you to be able to eat your favorite foods with confidence and without pain. Improved self-image. Dental implants give many people back their smile and help patients feel better about themselves. Improved oral health. Dental implants don’t require other teeth to be reduced like tooth-supported bridges. Neighboring teeth are not changed to support the implant, which means that you have more of your own teeth left intact, improving long-term oral health. Individual implants also make it easier to access between teeth, which is good for oral hygiene. Strength. 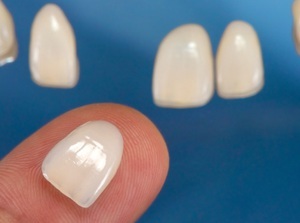 Implants are very tough and durable and will last you for many years if you take good care of them. Many implants can last a lifetime. Convenience. Removable dentures are… removable. Dental implants are the perfect option to avoid the often embarrassing inconvenience of having to remove dentures. You also don’t have to deal messy glues to keep them in place. What Are the Steps of Getting a Dental Implant? 1. The dental implant process starts with the development of a customized treatment plan for the patient. The plan will address the patient’s specific needs and will be prepared by professionals specially trained and experienced in oral surgery and restorative dentistry. The team approach provides corresponding care, usually based on the implant option that works best for you. 2. Next, the tooth root implant, which is a small column made of titanium, is positioned into the bone socket of the absent tooth. As the jawbone begins to heal, it will grow around the implanted metal post, which securely anchors it into the jaw. It could take six to 12 weeks to heal. 3. Once the root implant has fused to the jawbone, a small connector post (an abutment) is attached to the post to securely hold the new tooth. To make the new tooth or teeth, your dentist creates impressions of your teeth, which captures all your teeth, their shape and arrangement, making a model of your bite. The new tooth or teeth you will receive will be based on this model. The replacement tooth, called a crown, will be attached to the abutment. Patients also have the option to get a removable denture, which can be placed onto the implant instead of the one or more individual crowns they might need. Your dentist will also your new teeth to your natural teeth color. The implant is placed within the jawbone, which means that the replacement teeth look, feel, and function just like natural teeth. Dental implants are the closest you can get to having strong, natural looking teeth. With your new teeth, you will be able to live comfortably and eat confidently, while being able to enjoy your everyday activities without being worried about your teeth. At Foothill Dental Care in Livermore, our goal is to help you improve your beautiful smile and maintain good oral health. If you have to get your teeth removed, for whatever reason, you will probably not want to be left with missing teeth. The dentists at Foothill Dental Care can help you through the process of getting an implant. 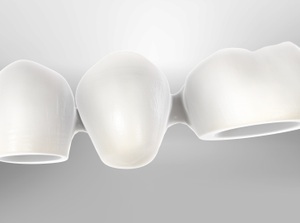 Along with replacing lost teeth, implants are also designed to help preserve the jawbone’s shape and density. They not only support the facial skeleton, but they indirectly help the soft tissue structures, including gum tissues, cheeks, and lips. Implants are not only helpful when it comes to the physical health of your mouth, but also help with social and psychological comfort. At Foothill Dental Care, we urge our patients to have regular visits to help us detect decay that can cause teeth to weaken and cause cosmetic problems. If you are interested in getting an appointment, call our office at (925) 961-5484 to schedule today. Most patients find implant surgery tolerable. Most discomfort you will feel after the surgery can usually be alive with over-the-counter, anti-inflammatory medication. Ice can also help with any soreness. Dental implants are generally not covered by dental insurance, at least at this time. You might be able to get some coverage under your medical plan but that depends on your insurance plan and/or cause of tooth loss. You should discuss and ask your dentist and insurance provider about any detailed information regarding your individual needs and their relation to insurance coverage. Typically, lifespans of dental implants are around 25 years or more. Though, if dental implants are taken care of correctly, they are able to last a lifetime. It can also depend on your dentist’s skill level. Implants will require upkeep and patients need to practice good daily oral hygiene. Brushing and flossing can control bacterial biofilm from forming and having regular visits with your dentist and dental hygienist is also a good idea. Please call us if you have questions or concerns about dental implant!